Irritable bowel syndrome (IBS) is a functional gastrointestinal disorder comprising abdominal pain, abdominal discomfort, and disordered defecation. The prevalence of IBS is 10–15% in the general population. 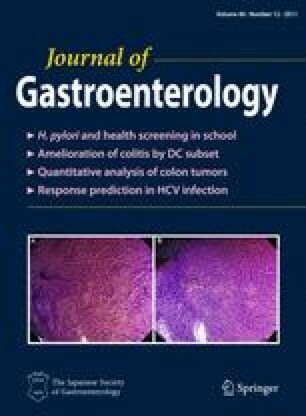 This study investigated the prevalence of IBS and the relationship between IBS and stress, lifestyle, and dietary habits among nursing and medical school students. A blank self-administrated questionnaire was used to survey 2,639 students studying nursing or medicine. This questionnaire asked about IBS symptoms, lifestyle, dietary intake, life events, anxiety, and depression. The questionnaires were collected from 2,365 students (89.6%) and the responses of 1,768 students (74.8%) were analyzed. The prevalence of IBS was 35.5% as a whole, 25.2% in males and 41.5% in females. Significantly higher stress scores (anxiety and depression) and life events were found in the IBS group than in the non-IBS group. Sleep disorders and the time spent sitting were also higher in males with IBS. In the IBS group, females ate less fish, fruit, milk, and green-yellow vegetables, and more processed food products than the non-IBS group (p = 0.001, p = 0.002, p = 0.032, p = 0.037, p < 0.001). The rates of missed meals and irregular mealtimes were significantly higher in females in the IBS group (p = 0.001, p = 0.013). The prevalence of IBS was higher among nursing and medical students, and further interventional studies are needed to improve IBS symptoms. We would like to thank the nursing and medical schools that collaborated in this research. The present members of these schools and their affiliations are as follows (in no particular order): T. Yamauchi, Nissei High School; S. Matsuo, Japan Baptist School of Nursing; H. Watanabe, S. Ikenishi, H. Yamamuro, and K. Ishizuka, Kyoto Central Nursing School; E. Maeda, Kyoto St. Catalina High School; S. Hojo, Rakuwakai Kyoto Nursing School; C. Tanaka, Kyoto Second Red Cross Nursing School; N. Tsujimoto, Kyoto Katsura Nursing School; Y. Kimura, Kyoto Prefectural Nursing School; C. Takegami and K. Oshima, Nantan Nurse College; M. Oka, Kyoto College of Health and Hygiene; N. Masuda, The Nursing School of Kyoto Medical Association; T. Komatsu, Kyoto First Red Cross Nursing School; C. Nonaka, Kinki Nursing School; Y. Matsumoto, Maizuru Medical Center Attached School of Nursing; S. Abe, Ibaraki Prefectural University of Health Sciences; M. Koizumi, Fujita Health University; T. Sasai and K. Toyama, Kyoto College of Medical Technology; S. Nakanishi, Suzuka University of Medical Science; I. Kawashita, Hiroshima International University; and H. Tateuchi, Kyoto Univerisity. This report has not been submitted to any other publication. The authors hereby declare that there is no conflict of interest.